OK, the Forest Service calls it “Sutton Bluff,” but we always called it “Sutton’s Bluff” – I don’t know which is correct. 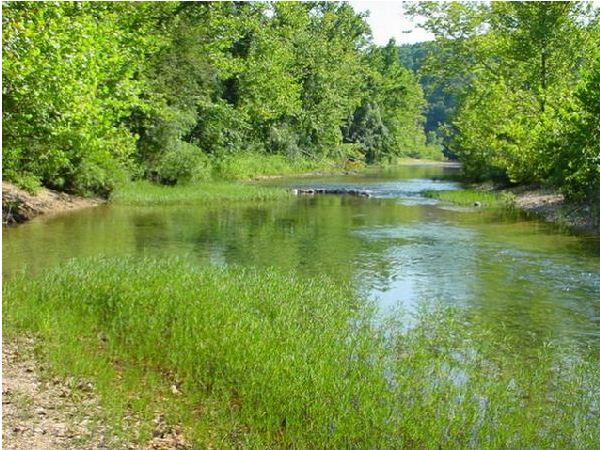 It’s on the West Fork of the Black River, a dozen miles west of Centerville, far enough upriver that it’s not really floatable. The river at that point is little more than a creek (see photo below), but by some wonderful stroke of luck, the river has a delightful swimming hole at that spot, with lots of water most of the time, a broad gravel beach, and the Bluff itself rising eighty to a hundred feet above the river. It’s not as peaceful and quiet as some locations because of a nearby ATV/motorcycle trail, so be forewarned. There’s also a trailhead for the Ozark Trail nearby; I’ll write about the Ozark Trail another time. Because of its isolation, the Sutton Bluff area is well populated with common water snakes and copperheads. Just another word to the wise. I’ve known folks who came across timber rattlers up on top of the bluff as well. Continuing west from Sutton Bluff on the gravel road will take you through one of the longest stretches of uninhabited forest in the state, and that by itself is reason enough to go there! 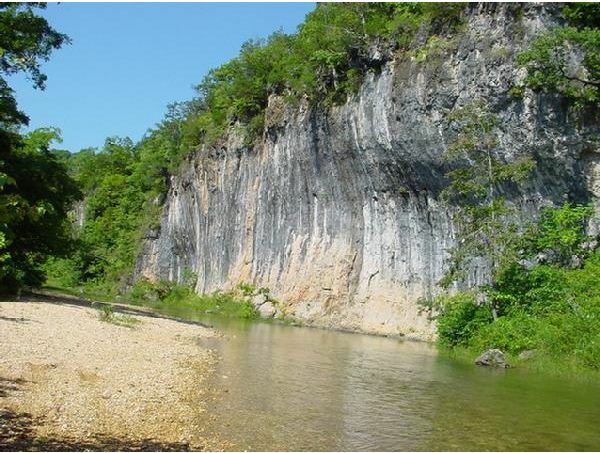 Photos from the Ozark Trail Association’s website. Well, the jury is in on the Meramec River shooting from last summer. It sounds like everyone got pretty hyperbolic and rhetorical during the trial. But the jury saw through the inflated claims and, I think, decided rightly. After all is said and done, we have to remember that a man is dead who should not have been dead. Even a drunk and argumentative floater (and I’ve seen plenty of those, Lord knows) shouldn’t end up dead just for being drunk and argumentative. We are so enraptured with the cowboy mentality of “standing your ground” and “refusing to back down” that lives are lost unnecessarily in this country, not just in this case but everywhere. I don’t know what it would take to cause me to shoot someone, but it would definitely be more than a drunk guy peeing on a gravel bar.